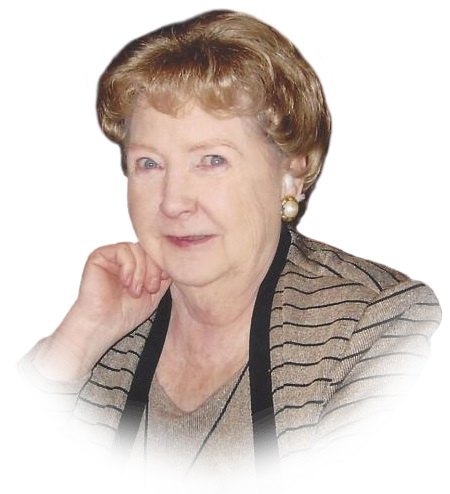 Joan T. Havel, 87 years of age, passed away Sunday April 15, 2018 at her residence. Born in Lorain, Ohio on December 5, 1931, she was the daughter of the late Arthur John and Julia T. (Laux) Marshall. Mrs. Havel grew up in Lorain, Ohio and was a 1950 graduate of Lorain High School. A resident of Aurora since 1978, she had been employed as a cook at Aurora High School, and was a member of Our Lady of Perpetual Help Catholic Church in Aurora, where she had been a former chairman of the church Senior’s Group. Mrs. Havel enjoyed traveling to the casino’s, yet her family will forever remember her skill and passion for cooking that she truly loved doing for them. On September 19, 1959, she married her beloved husband Theodore F. Havel, Sr. who preceded her in death on December 6, 2011. Mrs. Havel is survived by her devoted children Theodore F. (Jeanne) Havel, Jr., and John F. (Tatsyana) Havel both of Hudson and Laura (Doug) Irish of Green Township, Ohio; 8 loving grandchildren and 3 great-grandchildren, and her dear sister-in-law Marge Marshall of Lorain, Ohio. Calling hours will be Thursday April 19, 2018 at the Green Family Funeral Home & Crematory Service, 4668 Pioneer Trail at the corner of St.Rt. 44, Mantua, Ohio 44255 from 5:00 P.M.-6:45 P.M., where her funeral service will then begin with Rev. Edward Stafford of St. Joseph’s Catholic Church in Mantua officiating. A graveside committal will take place Friday at Aurora City Cemetery at 10:00 A.M.(Please Meet At The Cemetery). In lieu of flowers, please consider donations to UH of Cleveland, Attention Hospice, 11100 Euclid Ave. MCCO-5062, Cleveland, Ohio 44106-9845.